Keeping up with Moore’s Law has challenged the semiconductor fabrication sector for decades. While development of twice-as-fast CPUs has stumbled in the past few years, Moore’s Law was never going to run indefinitely. Unfortunately, physical hardware limitations are responsible, which is why engineers have been researching new materials and logic systems for microprocessors and miniaturisation. Developed at the Air Force Research Laboratory in Ohio, U.S.A, as a result of recognising silicon’s limitations, gallium oxide could be used in the fabrication of micro-electronics. Due to gallium oxide’s naturally wide critical electrical field strength (20 times that of silicon), this material is particularly suited to the development of field-effect transistors. Another limit of silicon is that it cannot be made thinner. Scientists from Stanford University, California, believe they have a solution: two new semiconductors that can be fabricated thinner than silicon. Hafnium diselenide and zirconium diselenide are similar to silicon but can be made to a depth of just three atoms, thanks to their high-k dielectric nature. Less power is needed for switching, which will have a considerable effect on battery life. Anyone who has heard about quantum computing probably knows that silicon is inadequate. So, if the dominance of silicon mounted transistors seems to be ending, what can replace it? Well for the time being, quantum computing can be discounted. Progress has been slow, with much of the effort focused as much on the algorithms as on the hardware. In short, it’s a long way off. Avoiding the digital slow down and the technological cul-de-sac of sticking with silicon is important, especially as the Internet of Things puts us on the cusp of a new era of data collection. Alternatives to silicon are designed to enable the eventual arrival of quantum computing. Graphene, discovered in 2004, is a substance that is just one atom in thickness, yet is strong, conducts electricity, and can be relatively easy to fabricate. Carbon nanotubes are cylindrical carbon molecules built with graphene, with quantum chemistry used in their production. They can be metal or semiconductor, which adds some flexibility to the possibilities carbon nanotubes offer. Foldable screens and indestructible smart watches are just two of the potential advances; however, the slow development of quantum computing will limit the full use of graphene for some years to come. Instead, graphene-based substances are likely to be employed as alternatives to metal in vital vehicular structures. Moving away from the standard transistor model used by silicon processors, nanomagnetic logic uses bistable magnetisation states. Rather than switching a transistor on and off, nanomagnets switch magnetisation states, using dipole-dipole interactions to process binary information. Because nanomagnetic logic doesn’t require an electric current, circuits built using this should be extremely low power. If the power and processing requirements can be correctly scaled, processors using nanomagnetic logic could be the final phase of silicon’s dominance until the quantum computing question is solved. While the silicon microprocessor looks set to be replaced, the material itself is going nowhere. 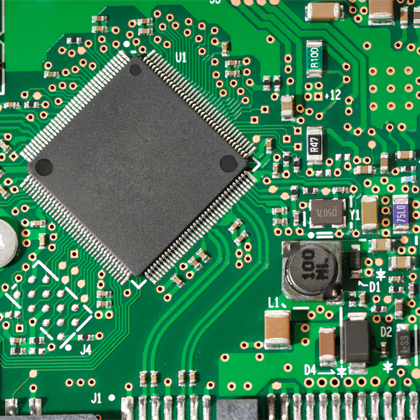 Replacement materials are likely to be mounted on silicon boards, at least at first, to enable human assembly, testing, and repair. But as technology continues to be scaled down, silicon could ironically be lost as miniaturisation steps into a brave new post-silicon world.